One civilian was wounded in the head. Russia-backed militants shelled the residential sector of the frontline Avdiyivka, Donetsk Region, from the multiple rocket launcher BM-21 Grad, the press center of the anti-terrorist operation reported on Facebook 23 May. A private house on Lermontov St. was destroyed, while several other homes have been significantly damaged. Unfortunately, one civilian was wounded in the shelling," the report said. Rescue crews are working on the scene. The head of the regional police Vyacheslav Abroskin said that the so-called "old part" of the city was shelled, including Kolosov and Levanevsky streets. One resident of Lermontov street was injured in the head. Over the past day, the ATO HQs recorded 59 enemy shelling attacks. 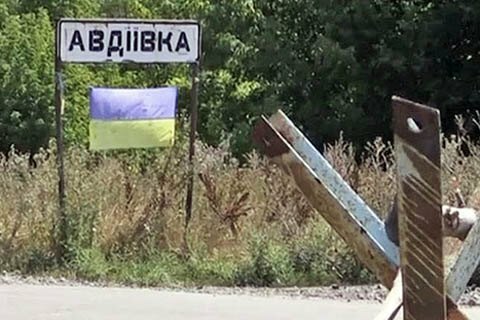 Four Ukrainian servicemen were reported wounded.